Broadstairs Food Festival 2019, takes place 4th – 6th October 2019. Foodies everywhere can make the most of the Festival by booking to stay in one of our comfortable Broadstairs holiday lets (via the form on our home page here) for the weekend. Come and sample the delicious seasonal and regional produce on offer at this three day celebration of regional and seasonal produce. From fine dining to best burgers, there is something to tempt even the fussiest eater. The festival runs from 10.00am-6.00pm and Friday and Saturday, closing at 5pm on Sunday. 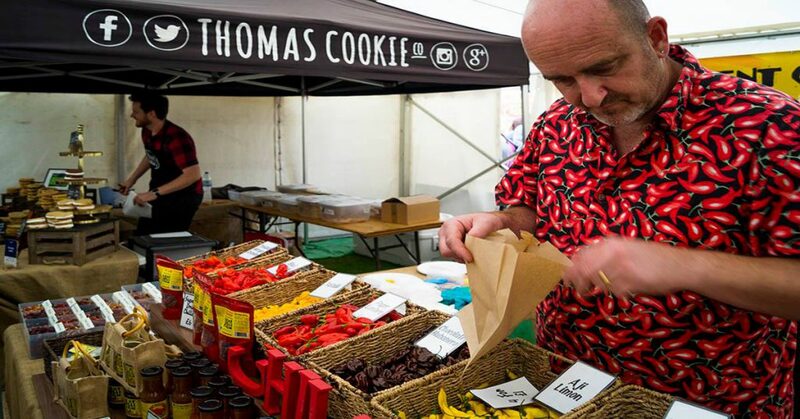 Previous year’s Food Festivals have had over 100 stalls of regional produce and dishes on offer – each year the Festival has more and more to offer visitors. Visit Broadstairs Food Festival website. This really is a harvest festival, with the chance to taste and buy the season’s bounty. The Festival is located on the Seafront Promenade and in Victoria Gardens. With charming views over the sea and beach, with its Victorian Clock Tower, gardens and beach, it’s hard to think of a nicer spot for a cream tea in the Vintage Tea Parlour or even a tipple in the Cider House, with its fabulous range of locally brewed ciders. There is something for all ages, tastes and budgets. To keep the kiddies entertained expect activities like face painting (Sat & Sun only), magic and a skipping tournament. All ages will enjoy the simple pleasure of an ice-cream on the beach, from Broadstairs’ own vintage ice-cream parlour Morelli’s, a local legend. Accommodation always books up quickly. Beeches Holiday Lets give you a comfortable base with a well appointed kitchen, providing a relaxing ‘home from home’ where you can just put your feet up. When it comes to Broadstairs holiday lets our accommodation is guaranteed comfort and quality. 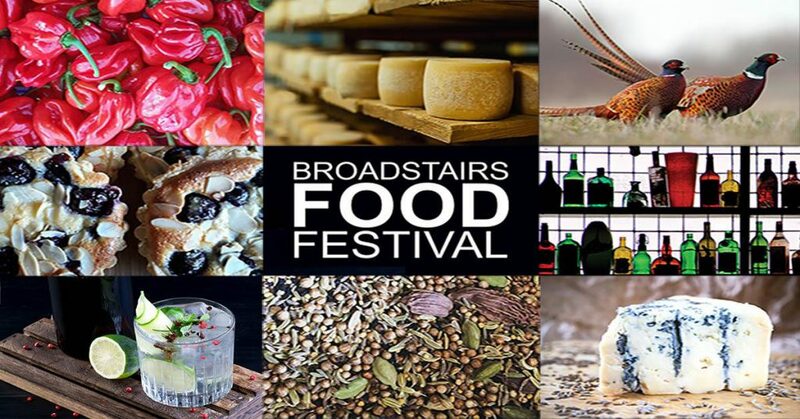 Broadstairs Food Festival highlights include a great programme of cookery demonstration and talks from cookery book writers, food producers and chefs. Set in the Chef’s Theatre there are presentations and workshops from nationally famous chefs and food writers like Stephen Harris, from The Sportsman in Seasalter and broadcaster, cookery writer chef, author, TV presenter, demonstrator and food campaigner, Rachel Green. Local chefs from Broadstairs’ many excellent restaurants will also be demonstrating their skills, giving you an insight to the dishes available in their restaurants and a chance to sample the local food offer. This is great opportunity to pick up new ideas as well as discover the great range of chefs and dishes available in Broadstairs all year round. If you enjoy cooking, the Chef’s Theatre is the place to be for tips and inspiration. On Sunday last year, Stephen Harris chatted to local journalist, Jane Wenham-Jones. Stephen was a financial advisor who taught himself how to cook. He quit the City to takeover a rundown pub, and put his food philosophy into practice. He took on The Sportsman in 1999, in nearby Seasalter, and has taken it to national renown. It is formally recognised by Michelin and was awarded the title of National Restaurant of the Year, 2017 as well as Gastropub of the year for the second year running. Stephen’s approach is to use really fresh ingredients. He grows the vegetables in the pub garden and gleans the seafood from the nearby mud flats. He uses locally sourced farmers to supply lamb and chicken. The message is clear, fresh and local high-quality ingredients is the key to delicious food. Whatever your tastes, the Broadstairs Food Festival is a great celebration of the amazing variety, quality and abundance of food and drink produced in Kent. It will definitely have something to tickle your taste buds and provides plenty to enjoy and take home. The festival supports our local producers and makers and helps quality to flourish here in the Garden of England. A visit to the Festival is great opportunity to support small artisan producers and local growers while having a thoroughly good time. Find our more about the 2019 programme by visiting the Broadstairs Food Festival website .